Across the reserves wintering bird numbers are really starting to rise with plenty of waders and wildfowl. Over 1000 each of lapwing and wigeon have been feeding amongst the scrapes and wet grasslands, Bowers Marsh and West Canvey Marshes are the best places to see them. Snipe numbers have also built up with over 100 recently across the reserves, including a group of 60 feeding on the edge of the main lagoon at Vange Marsh. The saline lagoon at Bowers Marsh has also been pulling in waders, time your visit with high tide to get the best numbers and selection, it has recently been holding good numbers of redshank, black-tailed godwit, dunlin and avocet. 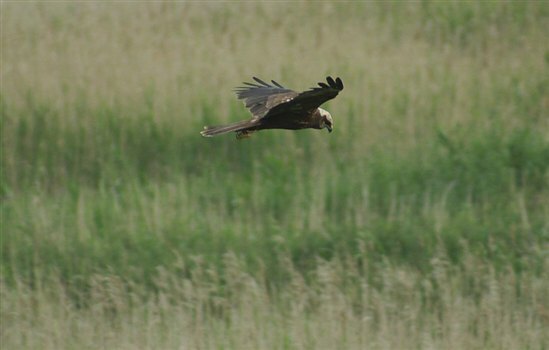 Winter is also a great time to see raptors on the reserves; if you’re lucky you may see a marsh harrier or short-eared owl quartering over the marshes, both have been seen recently on Bowers Marsh. If you head on over to Wallasea Island there have been cracking views of short eared owls, merlin, marsh and hen harriers as well as a rough legged buzzard. All without having to step far from the car park at all. Head on up to the sea wall and simply wait while these amazing birds of prey put on a fabulous display for you. Over the Christmas period Wallasea Island and Vange Marsh will be accessible at all times. The following reserve car parks will be closed on Christmas Day, Boxing Day and New Years Day although you can access them by foot - West Canvey Marsh, Bowers Marsh and Canvey Wick. The South Essex Visitor Centre will be closed on Christmas Day, Boxing Day and New Years Day, however, the wildlife garden is still accessible.